A new initiative launched August 1, 2018 to keep our Virgin Islands coasts clean. 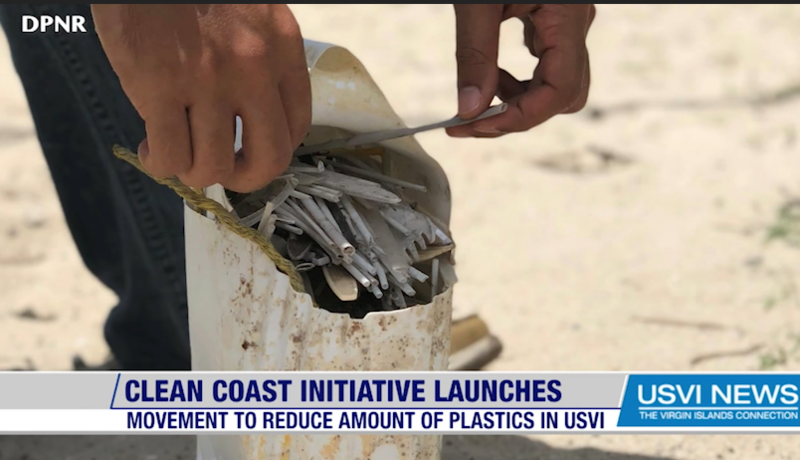 It’s a local movement to reduce the amount of plastic in the Virgin Islands. The program offers grants to businesses who make an effort to becoming ‘greener’ in the company. Some businesses like “Scoops and Brew” in Crown Bay Marina already are on that path by instituting grab and go thermoses. USVI News talked with organizers from Virgin Islands Conservation Society and The Virgin Islands Department of Planning and Natural Resources about their goals. “We really look forward to growing the program, as more businesses start to participate even if you don’t think that this is a program that would work with your business reach out to us, because we want to work with everybody to really fine tune the program and continue to grow it, this year we’re looking at single use plastics but next year we might focus on energy and move that towards more and more issues that we can face and continue to celebrate our amazing Islands and businesses,” Kitty Edwards, Division of Coastal Zone Management said. For businesses who want to take the pledge, you can fill out a free form on dpnr.vi.gov and be in the running for $1,500 worth in grants.